The twins say they are proud to follow in family members’ footsteps. Their older sister, Betsy is a nurse. Aunts on both sides of the family are nurses. Their grandmother, Kathryn Pfeiffer, was an OB nurse for 45 years before retiring. 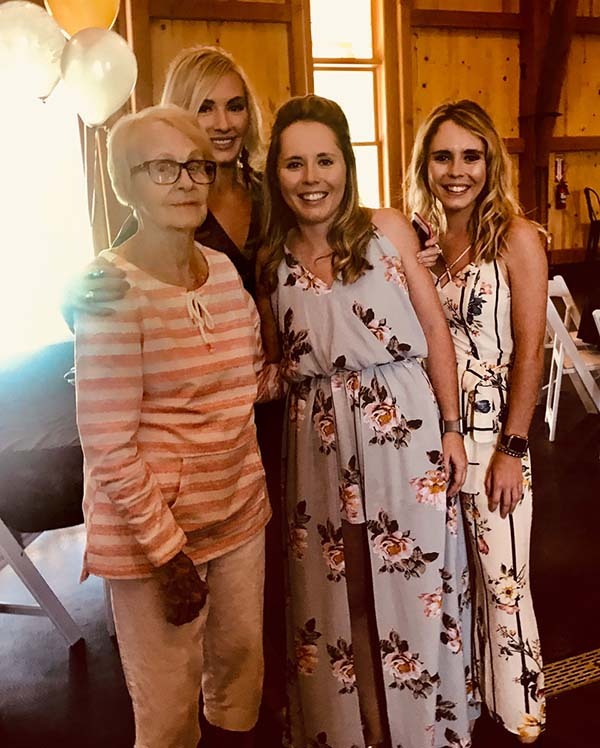 From left in photo below: Kathryn with granddaughters Betsy, Jane, and Annie. In photo below, Jane and Annie are babies in their grandmother's arms. To tell the twins apart, their parents added bracelets or painted the girls' toenails different colors. Janie says, "We dressed 100% alike until seventh grade." Kathryn, who turned 90 last year, still volunteers at her local hospital. Yet the twins say it was only after they took a firsthand look at what nurses do that they chose nursing. 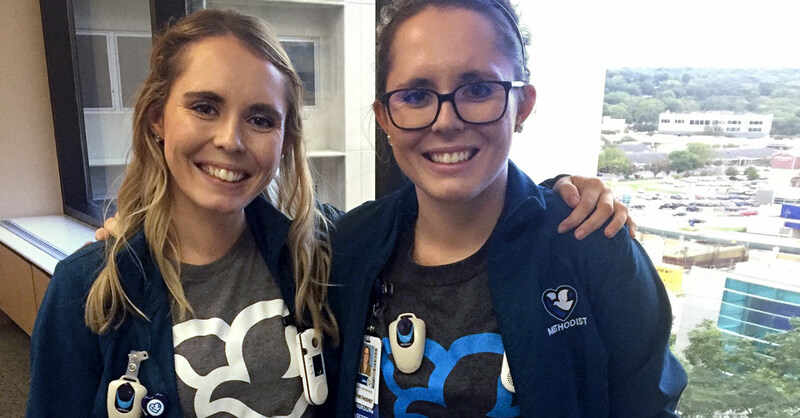 The twins were volunteering and job shadowing at a Colorado hospital when they made up their minds. With the decision made to choose nursing, the twins chose their nursing school—together. Another big difference, the twins say, is NMC’s emphasis on becoming an educated citizen and the integration of community service into the curriculum. “We get to see the different sides of nursing,” Annie said. 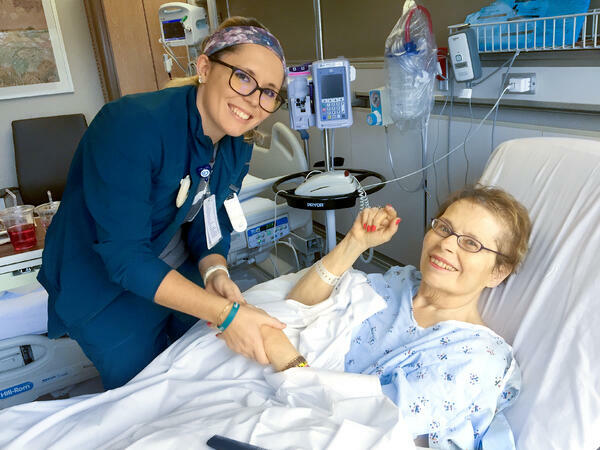 “The entire program makes you more well-rounded, a better critical thinker, a better person, and a better nurse,” Jane said. 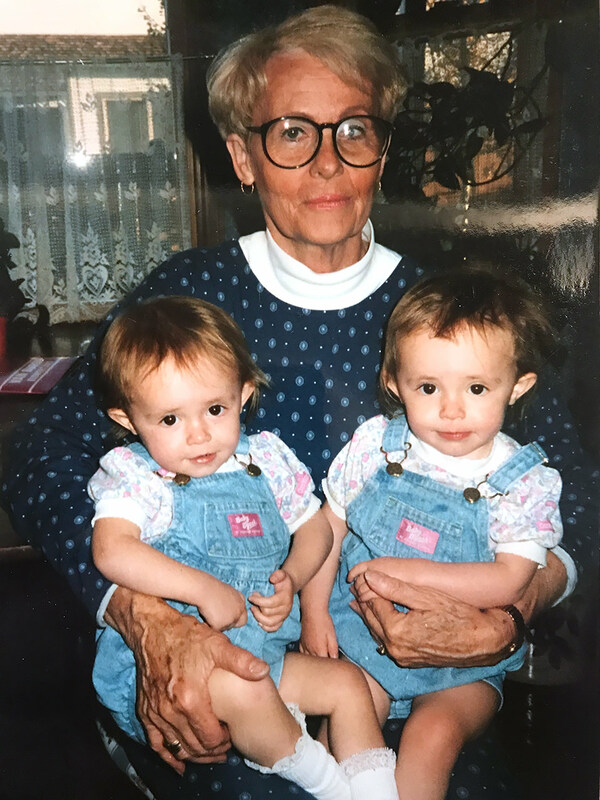 The family of the late Leona Anderson, who is shown above with Annie and Jane, say they are forever grateful for the special care and attention the twins provided. "The Rodgers twins were such a comfort to Mom and to us," said Leona's daughter. "They could read her mood and adjust their care not just to meet her needs but to brighten the day for all of us. 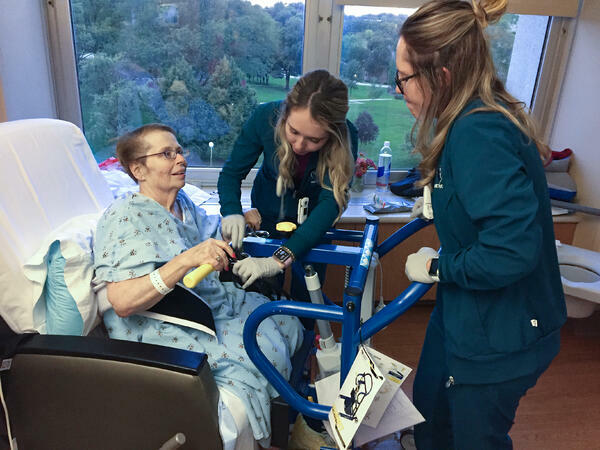 As nursing students and as CNAs, Jane and Annie go the extra distance every day, and they will be exceptional nurses."